With so many features and benefits, the PRO 70 is ideal for dog training. It can be used to train up to 6 dogs and provides up to 6 levels of stimulation. 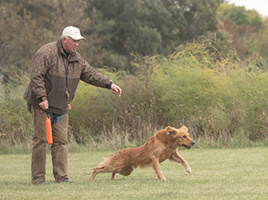 This simplifies the training process and allows the trainer to multi-task while working with the dogs. Strong and resilient, these devices are built rugged to last. The PRO 70 uses the tried and true tube-shaped design that trainers have come to love, but is easy to operate (and master) 1-handed so you can keep your eyes on your dog at all times, even while switching between stimulation levels and dogs. 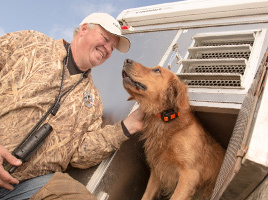 With an easy to use system, training dogs is made simple and is convenient for both the dog and trainer. The stimulation level/tone/LED selection dial is at the top of the handheld unit, allowing intuitive operation. And the multi-dog toggle switch and the color-coded buttons comfortably line up in the hand for fingertip control. A 2 ½-inch fixed transmitter antenna eliminates the threat of a lost or broken antenna while delivering up to 1 mile range.